Truly inspiring singer and great song content and video. Love his lyrics and love the way his songs go. His voice is unique and his songs "the night" inspired me to tried many things i didn't had the courage. "One Day You Will Leave This World Behind , So Live A Night You Will Remember!" There is nothing is better than Avicii's song. Live a life you will remember . Forever Tim. I miss your good heart . They say that we all die twice; the first when we take our last breath and a second time when your name is mentioned for the last time. Tim became someone I looked up too and I incorporated a part of every piece of his work into my own. Imitation is the sincerest form of flattery that mediocrity can pay to greatness. Tim was the living definition of greatness to me. A generation will not soon forget his influence and his memory will live on forever. We will not let him die twice. Vila i frid. Hi, I am form india. It's abhishake dutta. I was first inclined to edm listening to his songs.his songs are having so much unique elements that made him different from other edm producers. Every time I listen to them lands me to a endless void space where you need to do more .I am still saddened for his loss and still can't find any reason for his death in such early age. Dear Avicii, it is still hard to believe that you are gone. You were only 28 when you died but God had other plans. You may be gone but your legacy and memories live on not only by me but by the millions of fans out there. Thank you for everything you did for us. May your soul live on forever and ever. It’s been one year and I still think of you every day. I woke up to find out you had passed away and my heart shattered. I can barely get through certain songs of yours without bursting into tears. Your music is what introduced me to the world of EDM and I’m forever grateful. Thank you for sharing your love of music with the world. I hope you’re in a better place than you could ever find on Earth. Avicii , we will miss you forever.... Thanks to your music , I find the meaning of my life . LEGENDS NEVER die ! Hope you found the place you were searching for. Thanks. WHY ALL LEGENDS DIE ? Your music spread happiness to everyone, except yourself. I hope you are in a place where you, too, can be happy. "can you hear me SOS? help me put my mind to rest"
You wrote the theme songs to all my adventures. It was like your songs were the background music to my life. For that I can not thank you enough. I may understand your death and I may not, one thing I know for sure is, you matter. Forget your death, thank you for being alive. I hope you look down at all of us and realize you truly do and always will matter. Thank you for the great memories so far, I have no doubt your music will create many more. Tim, du och din musik kommer alltid vara en del av mitt liv. Tack för all glädje du spridit genom din musik. Jag kommer aldrig glömma dig. I miss you every day !!! I mis you every day!! Thanks for avicii i will remember you forever and i know that you never wake up but your still not finish product will be open and finish .thank you teach me live a life you will member and tell me everthing should try first.i will learn without you and start lonely together. Thanks for everything !! Your music make me sooo happy !!! Rip. From Mexico. Your songs remind me of all the good times in my life, thank you Tim. Your music will never die, your music will always be in my heart. Listening to Tim's music I get a feeling of determination of hope it helps me realize That this is my own future that I am making this is the road that I am paving Change happens every day Every time I listen to Silhouettes I'm filled with these feelings move forward in life no matter how scary it may be I can only keep walking "Straight ahead on the path we have before us day by day soon the change will come don't you know we took a big step forward just lead the way wand we pull the trigger"
His music was my first ever introduction to electronic music. And my eternal source of happiness and energy. Your melodies carried me through my darkest places. I will never forget the way your music changed my life. Thank you Tim. Hey Buddy, Still miss you Wish you were still here. Wish you well in heaven and i think about you almost every day. I hope you found the peace, you were searching for. Avicii is the only one that could make me feel things that i never feel before with his music, he change mi life in a lot of different ways, wow i can’t believe it’s been a year since he passed away, he is a big inspiration for millions of people. Tim: thanks for helping me, for share your amaizing music an make feel happy listen to them, and for left us in a sky full of stars..
Avicii will always bring me happiness. He touched so many people with his music. Avicii was an important part of my life, his music made me understand that music is to express feelings, he is an inspiration to me and I will always be grateful. Avicii é e sempre será espirador para qualquer um, ele ficará marcado em nossos corações, mentes e pensamentos, ele tocou a felicidade, buscava por algo além de tudo que já vivia, e mesmo não estando mais na terra, ele vive nas canções que marcam minha vida, minha adolescência. Tim Berg, nosso Avicii, espiração! One whole year and it still hurts. I'm spending the night doing what i did one year ago, sitting in my living room crying listening to your music. You will never be forgotten. You eased the pain, I only wish I could have done the same for you! Dear Tim, You came into my life at one of my darkest times. I was so lost I couldn’t find the point to any of this anymore. But your music became the light that helped me to push through. I found strength in your music. I started feeling happier. Your music has saved me so many more times that I could ever count. So, my heart aches every day knowing this world couldn’t do the same for you. I hope you found the peace you were looking for. This is my way of honoring everything you did for me. Avicii meant so much to me and was a huge influence. May his soul rest in peace and may he never be forgotten. He was by far the greatest artist that has set foot on earth. His music has such a huge impact on those who listen. Rest In Peace Avicii we will never forget you. Without You gave me strength to pick myself up after a heart-wrenching break up. It was empowering and powerful. Thank you for a creating a legacy that will last forever in our hearts and minds. It's been exactly 1 year since you left us. Every day still hurts more than the last. We completely adore you and my heart aches that your not here with us. We love you, my dear. When I had a hard day in the training or in the school, I put his music, and I thought that tomorrow will be a "better day". Thank you for give me courage through your music. Some years ago, Avicii's music gave to me the force to face my own life because I was feeling so sad and so lonely, when I was at university my girlfriend broken my heart and I was so depressed, the song "Dear Boy" from the album "True" was perfect for the feelings that I had for these days. I love Avicii's music and remeber him is so sad for this days, We will never forget you Tim, your music is awesome. Colombia loves you! A kiss also today from Samarkand. Always and everywhere I think of you! you inspired me to be my best. Mine and Tim’s issues were similar, I’m 17, and in the past, I too have been an anxious person and sort of a person who doesn’t like being centre of attention, and I feel I can relate to him and some of the issues he had to deal with. Me, my family and friends have grew up listening to Tim , and I am very much thankful for his beautiful melodies , his outstanding talent and the forever inspiring legacy that he left behind . I hope he has found peace . 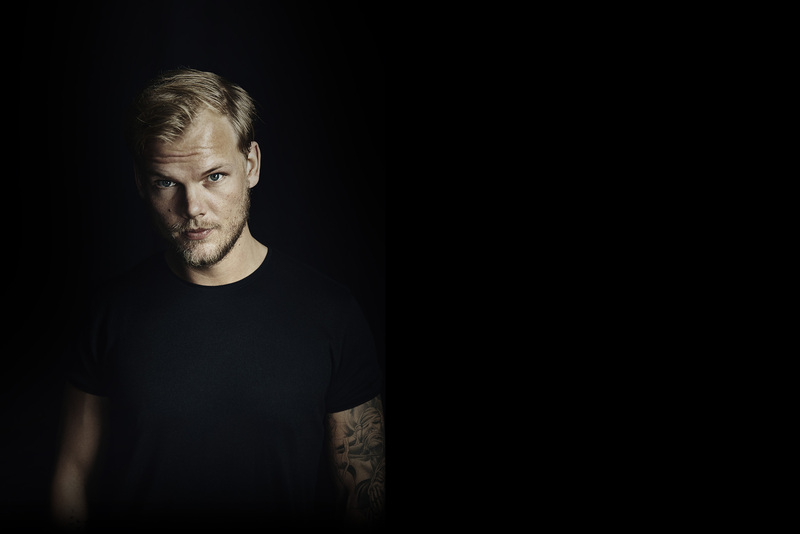 Rest In Peace AVICII.